Helsinki Plant Tram is a participatory urban gardening project in which a stunning garden—with planters that form a representation of a “magical tram line”—was populated with plants that were donated by members of the public who traveled, en mass, via public transit to bring their contributions to the garden. 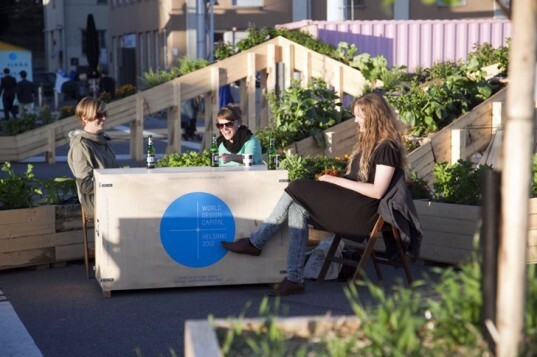 The project was designed and produced by the London-based landscape practice Wayward Plants, in collaboration with the local environmental organization, Dodo, and it was commissioned by the British Council for World Design Capital Helsinki 2012. 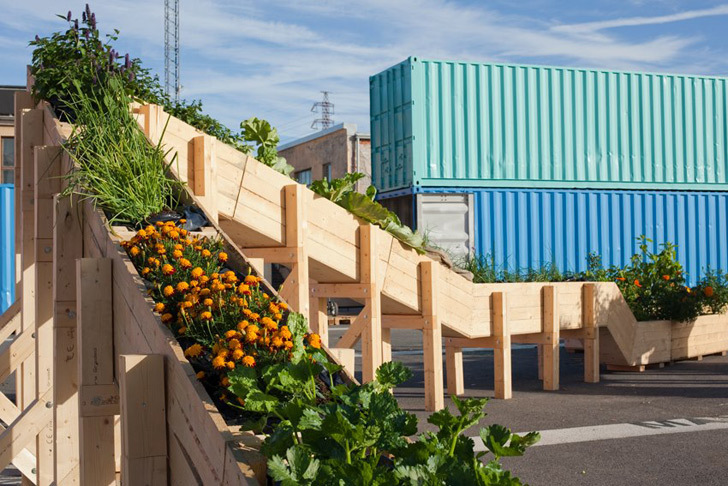 The exhibition ran from September 6-16th, 2012, and the space is now being reconfigured to create a lasting legacy as a permanent urban garden at Suvilahti for Dodo. Helsinki Plant Tram is a participatory urban gardening project in which a stunning garden—with planters that form a representation of a "magical tram line"—was populated with plants that were donated by members of the public who traveled, en mass, via public transit to bring their contributions to the garden. The project was designed and produced by the London-based landscape practice Wayward Plants, in collaboration with the local environmental organization, Dodo, and it was commissioned by the British Council for World Design Capital Helsinki 2012.